Top Ten Tuesday is a weekly feature hosted by The Artsy Reader Girl. This week it’s all about our favourite books of the past year. I read 72 books this year which was great, but it did make it a bit difficult to narrow down by favourites. I managed it though and, in no particular order, here are ten of the best books I read in 2018. 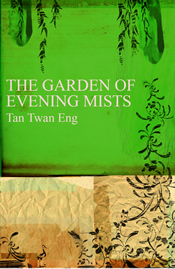 I found The Garden of Evening Mists to be a beautiful story about war, forgiveness and growth. I don’t think I read as much YA in 2018 compared to previous years but what I YA I did read was generally pretty good. The Nowhere Girls was the best that I read. It was funny, inspiring and I loved all the main girls and what they set out to do. I finally read The Power and I found it compelling and fascinating. It’s hard to read at times but that made it even more affecting. I’m so happy I’ve now read this classic. It was a great adventure story with interesting characters and it was a lot of fun. Events in Kartography were affected by the civil unrest when Bangladesh became independent from Pakistan, a historical event I knew very little about. My Read the World Project has made me read books set in countries during notable events in their history and I’m really enjoying that experience. I didn’t read many comics or graphic novels this year but Tales of Suspense: Hawkeye & the Winter Soldier was a lot of fun and memorable. Clint Barton is one of my favourite characters ever and I love seeing how he bounces off more stoic characters like the Winter Solider. The only book on this list that I didn’t review, but that’s mainly because I find it difficult to review thrillers that have a lot of twists and turns and surprises without giving everything away. Then She Was Gone was a book where I could figure out some of what happened, but never managed to get it all straight in my head before the big reveal – I think that’s the best kind of thriller. This is one of the best short story collections I’ve ever read. It’s all about girls and women, and each character feels so real even though you only spend a dozen or so pages with them. This story made me laugh and cry. It’s a sweeping family epic but it’s the little anecdotes and the ridiculous things that make a person, and their family, more real that stood out to me. What were some of your favourite books you read in 2018? Yun Ling, the only survivor from her internment camp, sets out to build a memorial to her sister. Her quest leads he to The Garden of Evening Mists, and to Nakamura Aritomo, a man of extraordinary skill and reputation, once the gardener of the Emperor of Japan. When she accepts his offer to become his apprentice, she begins a journey into her past, inextricably linked with the secrets of her troubled country’s history. The Garden of Evening Mists is told in the first person from Yun Ling’s point of view and spans over fifty years. The novel takes place in three time periods, when Yun Ling is a retired judge and writing down her story, when she becomes a gardener’s apprentice, and when she’s a teenager in a Japanese prisoner of war camp during Japan’s invasion of Malaysia. I listened to the audiobook narrated by Anna Bentinck and I really how she narrated it. The way Bentinck narrated it was great as she had a different voice for the older Yun Ling and the younger Yun Ling making it easier to follow what point in time the story is set. I knew very little of Japan’s invasion of Malaysia during World War Two, or Malaysia’s history in general, before reading The Garden of Evening Mists. As it spans so many years, you get to see how the country changes over time, the different political influences it has, and how the people must adapt and deal with some the atrocities they face. Yun Ling is a brilliantly complicated and realistic character. She suffered a great deal at the hands of the Japanese, she suffered physical and mental abuse, her family was torn apart, and she became a changed person due to her experience. She has every right to hate those that hurt her, but her feelings go towards all Japanese people so naturally her relationship with Aritomo is strained – at least to begin with. Seeing Yun Ling learn to deal with her anger, hurt and resentment and try and move on with her life was really powerful and compelling. Her relationship with Aritomo was fascinating as they were constantly learning from one another and as they slowly started to share more about their pasts, they were becoming a solid unit. There were some surprises along the way as slowly Yun Ling started to piece together hers and Aritomo’s pasts, and how they may have been connected long before they met. The Garden of Evening Mists is a great historical story with some beautiful writing. The way the garden was described was so vivid and stunning, but equally the brutality Yun Ling faced was just as vivid and shocking. I enjoyed The Garden of Evening Mists far more than I was expecting to, and would recommend it to just about anyone. 4/5.